Clyde Frederick McMurtury, 74, resident of 94 Pinehurst St. husband of Jean McMurtury passed away Sunday Nov. 11, 2018 at his home. Born in Laurens, SC he was a son of the late Henry E. McMurtury and Iris Stevenson McMurtury. He was twice married first to the late Lois Jeanette McMurtury. Fred was a graduate of Ford High School in Laurens, SC. He was a graduate of the SC Highway Patrol School in 1969 and worked for the SC Highway Patrol from 1969 until 1973. In 1974 Fred began working for The CSX Railroad as a conductor and retired from CSX in 2003. 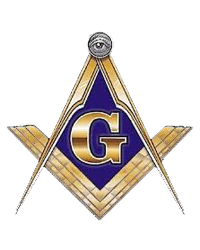 He was very active in his community as he was a master mason and a member of The Clinton Lodge # 3 AFM and also a Shriner and member of the Hejaz Shrine Temple. He attended the Abbeville Pentecostal Holiness Church. Fred enjoyed spending time with his family and loved ones but the joy of his life was his darling little great-grandchildren. The family would like to express a sincere thank you to the doctors and staff at Self Regional Medical Center for their loving and compassionate care. Survivors include: His beloved wife Jean Vinson McMurtury of the home; two sons Sammy McMurtury (Marie) of Abbeville, SC and Ryan McMurtury (Tina) of North Augusta, SC; a stepson David Jones (Julie) of Greenwood, SC; a step-daughter Karen LeGrand (Terry) of Laurens, SC; his mother-in-law Martha Vinson of Iva, SC; his sister-in-laws Brenda Holden, Janet Hannah (Haynie), Opal Rousey (Roger): a brother-in-law Marvin Vinson (Dot); nine grandchildren J.T. McMurtury and fiance’ Emily, Samantha Saladin (Drew), Tyler McMurtury (Robin), Kirstie Imhoff (Richard), Grace McMurtury, Austin Jones, Alyssa Jones, Chelsea Dowd (Jason), and Branton Simpson; five great-grandchildren Aiden, Paizlianna, Kennadi, Jase and Aaron. A Celebration of Fred’s life will be conducted Wednesday Nov. 14, 2018 at 12 noon at Abbeville Pentecostal Holiness Church with the Rev. Jerry Catoe officiating. The family will receive friends from 11:00 AM until noon prior to services at the church. The family is at the home 94 Pinehurst St. Abbeville, SC. The burial will be private at a later date. Memorials in memory of Fred may be made to The Chandler-Jackson Funeral Home, 208 South Main St. Abbeville, SC 29620.